Another texture polish. I can't get enough of them. Love this trend so much! 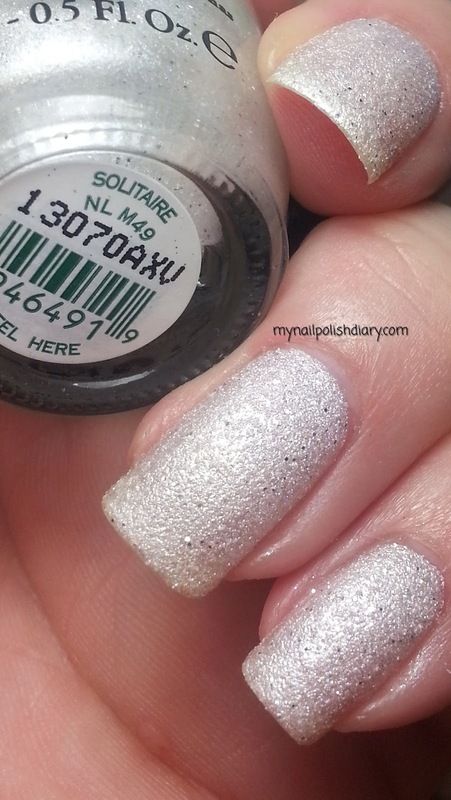 OPI Solitaire is another from the Bond Girls Liquid Sand collection just released. It's silvery white and beautiful. The formula and application were perfect just like PG. I can't say anything but good about this collection. It's stunning shiny matte. I hope this trend lasts a good long time, cause I'm not getting tired of it any time soon.